It’s not just your “stuff” - it’s your life! 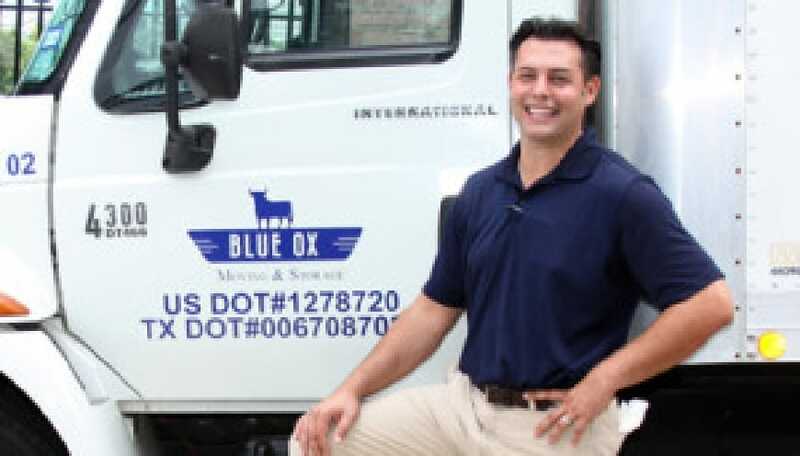 Blue Ox Moving and Storage is your local Houston-area moving company. We’ve been helping happy customers with stress-free moving services in Cypress, Tomball, Conroe, Spring, Katy, and The Woodlands. Leave the heavy-lifting to Blue Ox, your personal, trusted, and local moving company. Whether it be a simple move down the street or across the country, Blue Ox offers local and nation-wide relocation services. Rest easy as we take care of the loading, transportation and unloading for a stress-free move. Looking for a corporate moving company? You can trust Blue Ox Moving to provide flexible corporate relocation solutions and expert move management, regardless of your company’s size or needs. Not moving into your new home right away? We’ll store your belongings at our secure storage facilities as part of the moving process, hold them on site until your new home is ready, and move them into your new home when you are ready. It’s very important that your belongings are protected, so we offer Full-Value Protection (FVP) upfront with every estimate. FVP is a plan to protect you if the unexpected happens to your personal items during your move. Meet Joe – Your Moving Expert! I know firsthand that moving is a stressful time. When my wife and I moved into our first home, the movers scratched the furniture, broke dishes, and lost our wedding photos… OUR WEDDING PHOTOS! That day I realized that it’s not just your “stuff”—it’s your life. After that, I brought home our first moving truck, and Blue Ox was born. At Blue Ox Moving & Storage, we earn our customer’s business because they trust us to provide them with a stress-free move. We realize that you trust us to not only move your personal belongings, but your memories. With an unfailing focus on your details and needs, we will strive to make your move as pleasant as possible. Contact Us for a FREE in-home estimate and we’ll design a custom moving package for your needs! I love using local, privately owned businesses and Blue Ox did not disappoint! They were on time, polite and thoroughly efficient and professional! I would use them again in a heartbeat. Thank you, Joe, for starting . . .
Moving crew was friendly, hardworking and courteous. They took great care in handling our furniture and belongings. They also went “above and beyond” expectations to get a large sofa and occasional chair up a . . .